SEOUL - After decades of deadlock, there seems finally to be some diplomatic movement on the Korean Peninsula. The June summit between Kim Jong Un and Donald Trump — the first between a North Korean leader and a sitting U.S. president — produced a joint statement in which Kim agreed to complete denuclearization of the Korean Peninsula in exchange for security guarantees from Trump. Of course, while some cheer the development, others remind us of the North’s long history of broken promises. But even if Kim’s pledge was sincere, his regime will benefit from such guarantees — and from an end to crippling international sanctions — only if it can manage to repair North Korea’s broken economy. Could it use Vietnam’s experience as a model? In 1986, Vietnam initiated the Doi Moi policy, a set of economic reforms that, much like Deng Xiaoping’s reforms in China, aimed to create a market economy under the firm rule of the Communist Party. The government disbanded agricultural cooperatives, removed price controls on agricultural goods and allowed farmers to own land. It also privatized many companies, eased foreign investment regulations, created a more supportive environment for private business, established export-processing zones and promoted labor-intensive manufacturing industries. 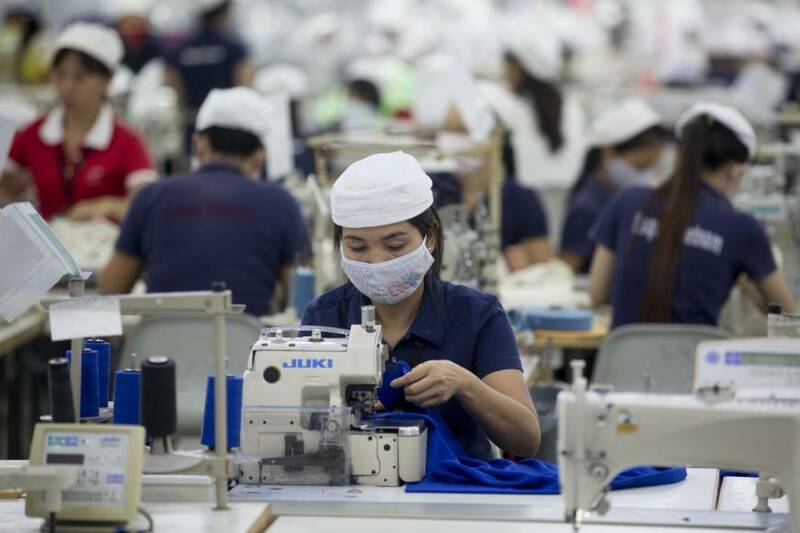 Over the subsequent 30 years, Vietnam’s economy grew at an average annual rate of 6.7 percent. By 2017, per capita GDP stood at $2,340, and exports exceeded $210 billion — nearly on par with Australia and Brazil. Foreign investors, including South Korean conglomerates like Samsung, have played a pivotal role in this process. At the inter-Korean summit on April 27, Kim reportedly expressed an interest in following Vietnam’s economic-reform model. U.S. Secretary of State Mike Pompeo echoed that sentiment, declaring that the North could replicate Vietnam’s path toward economic prosperity and normal relations with the United States. If North Korea — the world’s most isolated country — did decide to embark on such reforms, it would undoubtedly face significant hurdles. 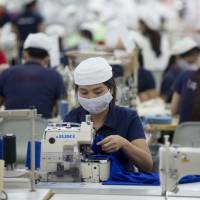 Its centrally planned economy has long been stagnant, with an average growth rate of less than 1 percent over the last decade and per capita GDP of just $1,300, according to estimates by South Korea’s central bank. Sanctions are eroding economic performance further: In 2017, GDP contracted by 3.5 percent and total exports plummeted by 37 percent, to a paltry $1.77 billion. Nonetheless, the North possesses relatively good economic fundamentals, thanks to well-educated workers, abundant natural resources and geographic advantages like natural seaports. With comprehensive market reforms that enable large-scale foreign investment and technological adoption, replicating Vietnam’s economic “miracle” would be feasible. In this scenario, the North could secure double-digit GDP growth that drives per capita income to up to $10,000 within 30 years. Normal trade and direct investment relations with South Korea alone could increase the rate of annual GDP growth by 3 percentage points. The real question, then, is how willing the North is to take this route. Here, too, there is some reason for hope, as Kim does seem more reform-minded than his predecessors. His signature domestic policy, byungjin, entailed pursuing the nuclear program and economic growth in parallel — a shift from his father’s songun (military first) policy. As part of that effort, he has granted more autonomy to farms and factories and opened some markets. Last April, Kim announced the end of byungjin, saying at a Workers’ Party meeting that it was time to focus the country’s resources on rebuilding the economy. But the extent of that commitment remains unclear, not least because there is no reliable information about the country’s economic situation. Unlike in Vietnam, where public demands were translated into action by a collective leadership, in North Korea a single, unpredictable tyrant makes all essential decisions. That does not rule out economic reform. But if the North is to follow Vietnam’s path, it will need sustained political and economic stability as it pursues comprehensive privatization and liberalization. First, however, North Korea needs to take significant and credible steps toward denuclearization — a prerequisite for easing the economic sanctions on the country. Once sanctions are relaxed, the two Koreas can strengthen cooperation on humanitarian, health, and environmental issues, and discuss re-opening the Kaesong industrial complex. Sanctions will be eliminated only after complete denuclearization. At that point, the North could create real trade and investment partnerships with the rest of the world and, potentially, secure financial aid from multilateral lenders such as the World Bank and Asian Development Bank, and neighbors, most importantly South Korea. Among other things, the South Korean government would construct inter-Korean rail, road and energy networks. Normalization of the North’s relations with South Korea and other Asia-Pacific economies, including Japan and the U.S., would spur a deeper economic transformation. This would substantially improve the well-being of the North Korean people, who are suffering under the current closed system. To be sure, given the Kim regime’s “systematic, widespread, and gross” human rights violations, it will be a long time before North Korea can even dream of being treated like a normal country by the international community. But that is no reason to wait; on the contrary, it demands urgent action to put the country on a new path — not just denuclearization, but also smart and sustained reforms. Above all, success requires easing the pressures of economic and diplomatic isolation (much like those faced by Vietnam in the early 1980s), which could deplete what little resources North Korea retains. What happens next on the Korean Peninsula will affect everyone. That is why the international community must push the North to seize the moment, stop wasting resources on nuclear weapons and missile development, and launch a comprehensive economic reform program. Vietnam should be its model.